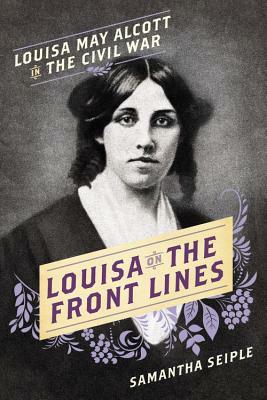 Louisa on the Frontlines is the first narrative nonfiction book focusing on the least-known aspect of Louisa May Alcott's career - her time spent as a nurse during the Civil War. Though her service was brief, the dramatic experience was one that she considered pivotal in helping her write the beloved classic Little Women. It also deeply affected her tenuous relationship with her father, and inspired her commitment to abolitionism. Through it all, she kept a journal and wrote letters to her family and friends. These letters were published in the newspaper, and her subsequent book, Hospital Sketches spotlighted the dire conditions of the military hospitals and the suffering endured by the wounded soldiers she cared for. To this day, her work is considered a pioneering account of military nursing. Samantha Seiple is the author of the young adult narrative nonfiction books Ghosts in the Fog: The Untold Story of Alaska's WWII Invasion, a YALSA Award for Excellence in Nonfiction Nominee and a Junior Library Guild Selection; Lincoln's Spymaster: America's First Private Eye, a Junior Library Guild Selection; Byrd & Igloo: A Polar Adventure; and Death on the River of Doubt: Theodore Roosevelt's Amazon Adventure. She has worked as a competitive intelligence specialist, as a librarian, and as a production editor and copy editor. Her education includes degrees in English, journalism, and library and information science. She lives in Asheville, North Carolina.